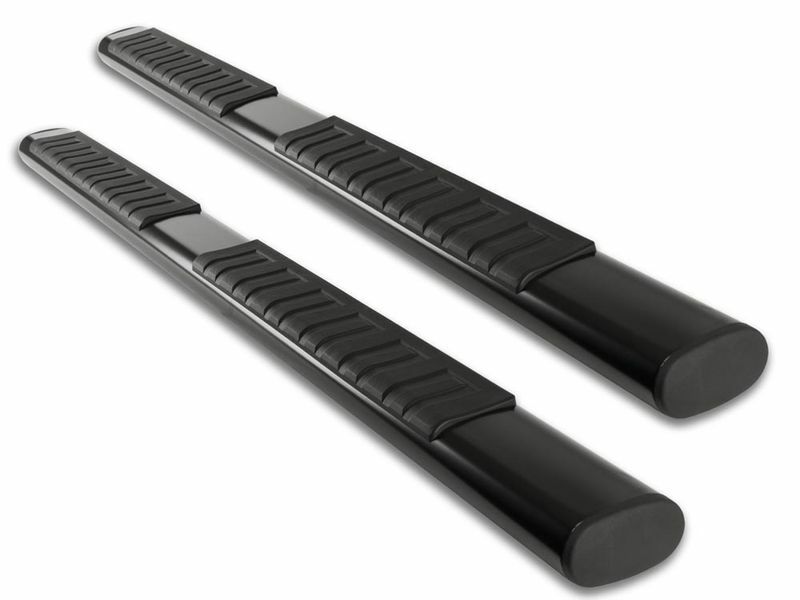 The Ionic Voyager Plus Black running boards are made out of quality mild steel. Not only are they stronger and more durable, but the black powder coat finish looks great too. The extra wide 6" step area of the Voyager Plus means no more searching for your running boards with your foot before you step out of your vehicle. The Voyager Plus's molded plastic step pad is textured and extremely grippy, even in wet and snowy conditions. You can be certain that your footing will be secure. The Voyager Plus running boards mount to existing mounting holes on the body of your vehicle on most applications, which usually means no drilling is required. Installation is easy and shouldn't take much more than 30 minutes. Set yourself apart from the rest with the Ionic black Voyager Plus running boards. The wide, secure design of these step boards are perfect for those that want that added durability. These are perfect for not just you, but if you have family or friends that need that additional security. Each running board is crafted into a sturdy 6" wide step with molded step pad to ensure secure footing. The Voyager Plus boards are made from a durable steel and coated in a black powder-coat finish. So not only do they provide a secure step up into your cab, but they look amazing too! Including all custom mounting brackets and hardware, you cannot go wrong with the Ionic black Voyager Plus running boards. Sold in pairs and backed by a five year warranty there is no reason you haven't added to the cart already! Treat your vehicle today.